That promise is more than I can wrap my mind around. I am inscribed on His hands. When Jesus looks at those nail scars, He sees me. He sees my broken past, my failures and fears, my sins - but they don't matter anymore, because I am inscribed. I am inscribed on His hands, and that changes everything. A year later, I still can't wrap my mind around that promise. When we read through the Bible, we see over and over again that God had a plan to inscribe us. From the first sin (Genesis 3:15), He already knew the cost to save us. And it didn't end on the cross. He promises that He is always with us. (Matthew 28:20). We inscribed. Not written, so that we can be washed away, but inscribed. Engraved. Forever His. 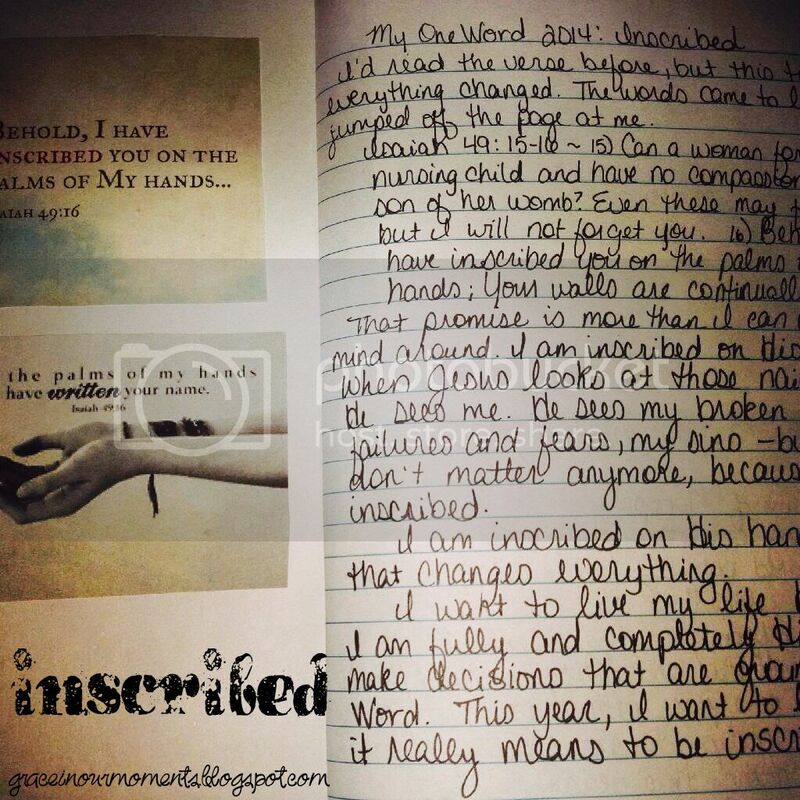 In the beginning, I though this journey through "inscribed" would be about God's love for me. In part, it has been. But in more ways, it's been about my love for Him, how His love changes and refines me. He has worked with me through hard things things this year. Through Lent, and the study that opened wounds from decades past. Through hard truths, struggles and trials. I still have so far to go, but there is grace. Always grace. This verse is now burned into my heart. Into my life. I am inscribed by the God of the universe. The One who breaths life, who hung each star, who painted the sunrise - He loves me so much that He inscribed me on His hands. He engraved me there. He will never leave me. I may fail Him, yet when I turn back to ask forgiveness, He stands waiting with open arms. I read the original book, when it was a self-published ebook. I loved it then, and I love it even more now. Brooke added so much content. This is one of my favorite books on prayer. I love the emphasis on praying Scripture over your children. Technically I'm still reading this one, but I'll finish this week. Emily P. Freeman could have written this for me. If you deal with perfectionism and feeling like you never quite live up to the ideal, pick this one up. This was no so much a home decorating book, but a making-a-home book. It's about creating a home no matter where you're at or what circumstances are in your life. Great read that made me look at my home in a completely different way. I got so far behind on my reading list when I was in college. I love Ann's blog, so this book had been on my list for a while. I wasn't disappointed. I don't say this lightly - this book was life changing. If you haven't read it yet, put it on your list for 2015. Yes, I know I'm seriously behind, since I just read these in May. For the past fifteen years, I've stuck with Christian fiction, but I heard so much about these books that I decided to check them out. I'm so glad I did. They are amazing. I read them all in a matter of days. I'm a die-hard 24 fan. I was so thrilled when Fox brought it back for a mini-season this year. But as always, when Jack Bauer's bad day ended, I found myself in withdrawals. It was perfect timing for the release of Operation Zulu. I made the mistake of starting this series in the middle of a major renovation project. I couldn't stop. It was like reading a 24 episode. I was sneaking in a few pages anywhere I could, hanging on for the next week when the new installment came out. My only suggestion? Clear your calendar before you start this one. I've been a fan of fan of Raleigh Harmon since the first book in Sibella's adult series about the FBI agent and forensic geologist. This YA novel, though, is her best yet. So much of Raleigh's drive comes from her dad's unsolved murder. In this new spin-off series, we get to see her life before everything shattered. Getting to know her dad makes her story even more compelling. I can't wait for the second novel in January! I don't know how I made it through childhood without reading this classic. Of course, I'm not sure I would have grasped the full meaning of the story as a child. Wow. Just wow. Not a light read - I sat on our balcony on vacation and cried as I read. The second book in the series is on my 2015 reading list. I may get myself in trouble with my critique groups here, but I'm going to confess: romantic suspense isn't usually the first thing I'll pick up. I'm more of a straight mystery/suspense girl. This debut novel from Amryn Cross has changed my mind, though. Realistic story, imperfect characters, tons of action - this book grabbed me from the opening scene. December isn't always the most wonderful time of the year...especially when you're a pastor's wife. This past week officially kicked off our busy season. We have Christmas parties (one to two a week - most weeks, it's two), church activities and special services, the children's church Christmas play that I direct, plus shopping, wrapping gifts, trips to the post office, and the other normal chaos that comes along with the holiday season. Some days, I think I'm trading "merry and bright" for "tired and uptight." As a kid, I loved everything about the Christmas season. As an adult, I too often find myself counting the days until it's over. If I could go back to my childhood love of all things holiday, I would, but it's hard to recapture that innocent adoration of it all. This year, I promised myself I would try to slow down and enjoy the season more. My starting point: I simplified my Christmas tree decorations. After years of begging from my boys, I gave in and replaced my white lights with multi-colored ones. I left off all the ribbons and mesh, simply putting up lights, ornaments, and a big sparkly bow for a tree topper. To my surprise (and great joy), the tree looked better than ever. The kids loved it, and I stressed over it a lot less. 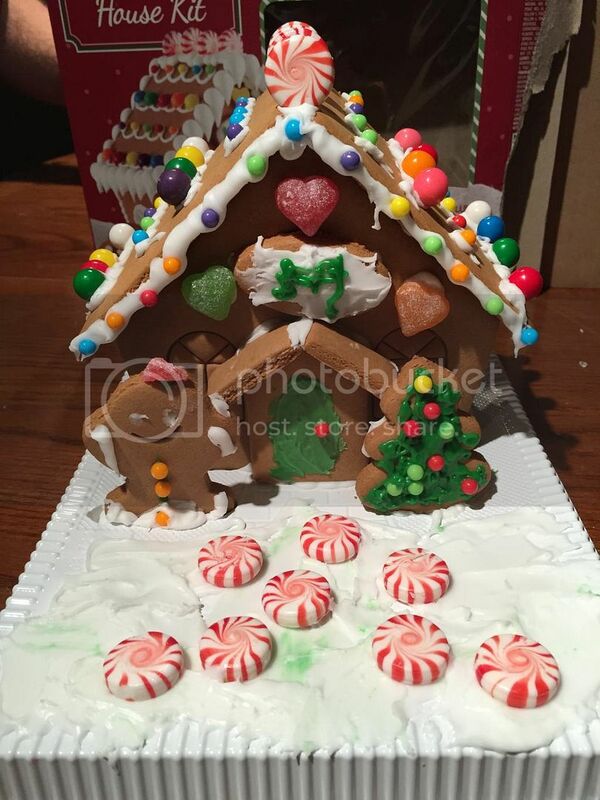 My kids made their first ever gingerbread house this year. Nothing fancy - I bought a $6 kit at Walmart and turned them loose. Okay, first I tried to help, but after a couple of walls collapsed, the boys told me they could handle it themselves. I think it turned out pretty well. No wonder my youngest wants to be an architect. 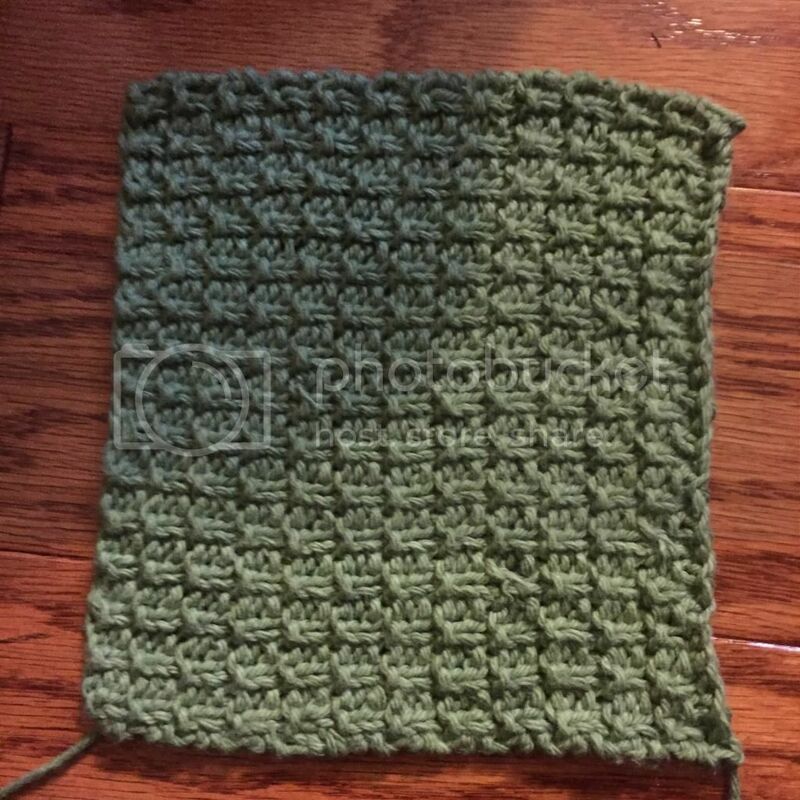 There's not a lot of free time this month, but I'm trying to still squeeze in a couple of workouts a week and spend a little time on my newest hobby: knitting. I'm slowing down and enjoying the little things more. It's working. This year, I'm finding more of my Christmas joy creeping back into my life. I'm still stressed. Some days are still overwhelming. But it's getting better. Daily time with God is a necessity for this stressful season. Jesus is the entire reason for our celebration - we can't leave Him out. Starting each morning with a little quiet time for journaling and Bible study sets the tone for the rest of the day. Plus, time with God and a cup of coffee by the light of the Christmas tree is so special. I look forward to it all year. Bake cookies with your kids. Listen to your favorite Christmas music. Knit. Read. Drink coffee, tea, or hot chocolate. Get outside in the snow. (Or in the balmy 70+ degree sunshine, if you live in Texas like me.) Take your kids to visit Santa. You either want to scream or burst into song right now, I'm sure. But during this crazy season, let some things go. I decided to step back from my novel this month, taking a break from critique groups and editing until Christmas is over. Some things can't be taken off the table, but remove what you can to make the holidays easier. Less on your schedule means more time to enjoy this time of year. When it seems like the busyness will never end, remember that it's just a season. It will pass. Quickly. Just breathe, focus, and remember that New Year's Day will be here before you know it. What are you doing to enjoy Christmas more this year? 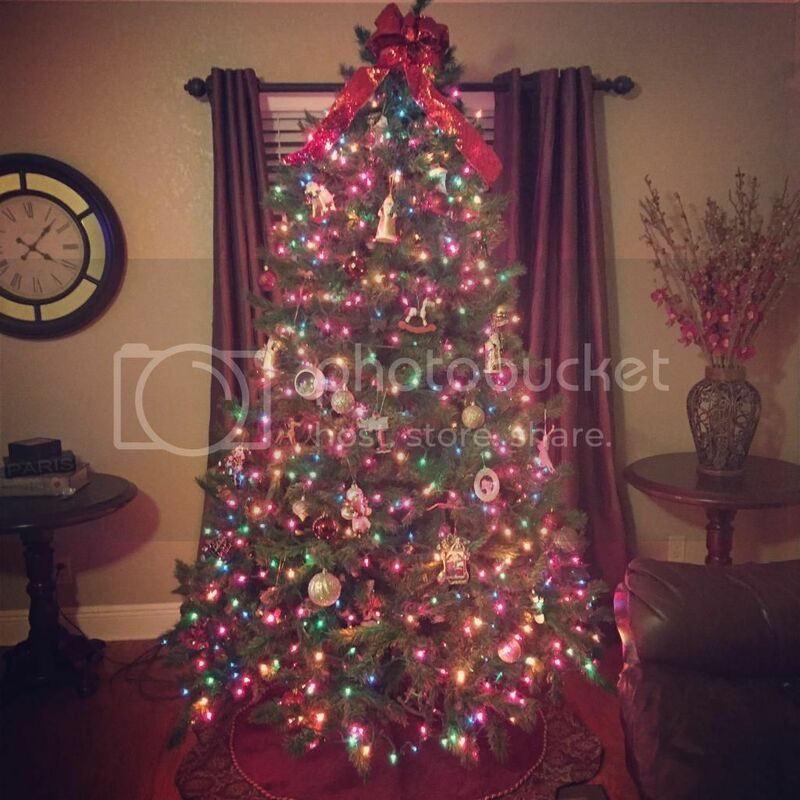 Our Christmas tree stands in our living room, fully decorated. You can't miss it. I bought it on sale months before we moved from Arkansas to Texas. The 5 1/2 foot wide, 7 1/2 foot tall tree would have looked great in the large parsonage we lived in, but it's huge in the living room of the small home we bought seven years ago. I've affectionately nicknamed it the "Jolly Green Giant" tree and can't imagine having anything smaller. "Mom, here's the one from when you and Dad got married." "These were Grandma's rocking horses, right?" "Can we put up our baby ornaments?" "Mom, here's more of your vintage Santas. What does vintage mean anyway?" The significance of their comments didn't strike me until later, as I sat looking at the tree. My boys know the stories. I have a thing about ornaments. I won't buy them just because they're cute - they have to have a story. There's our Santa on a motorcycle, because I've been promising my husband for years that he'd get one someday. (And he finally did, about two weeks ago.) My ballerina, because I took ballet and learned to dance on pointe (not well, but I did it). The wooden Hershey's ornaments and rocking horses that hung on my mother-in-law's tree, a small piece of my husband's childhood and his parents, who I never got to meet. The boys' first Christmas ornaments. The photo frame with the boys sitting in Santa's lap together for the first time, when our oldest was three and our youngest was just six months old. 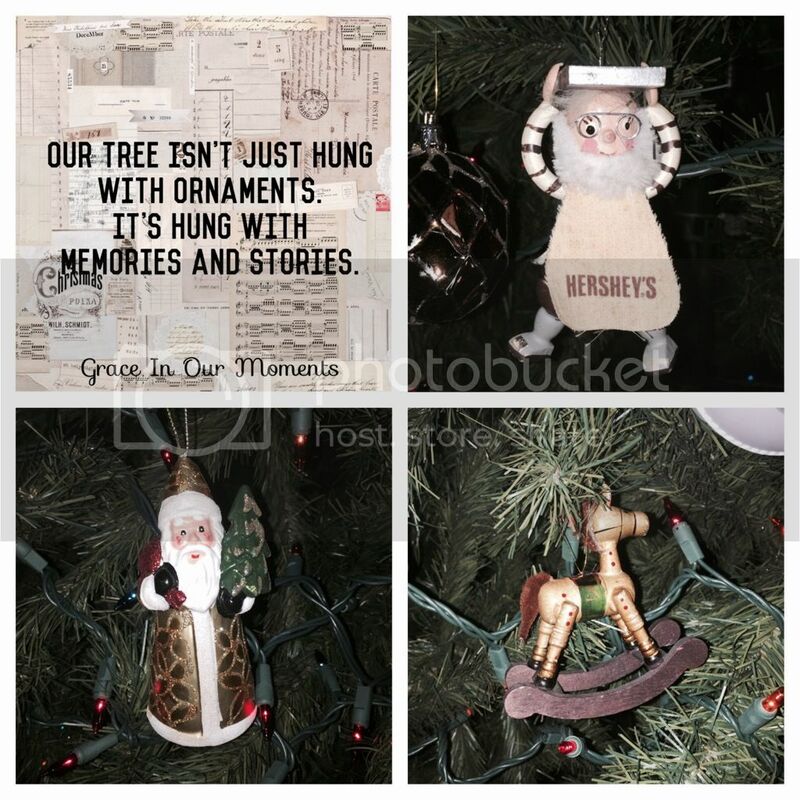 Our tree isn't just hung with ornaments - it's hung with memories and stories. Every family has stories. We have stories of how our family came to be: how we met, how our faith has been passed down from generation to generation. There are stories of our faith: miracles we've witnessed, answered prayers, God's faithfulness. We have family members our children will never know this side of heaven, people whose legacy shouldn't be forgotten. It's our history, and our children need to know it. Tell your kids your stories. That's part of why I write, journal, and blog. I want to pass something down to my boys, something tangible that my children and grandchildren can see and touch. I want them to read about our family's ups and downs. When God is faithful, when He comes through in an amazing way, I want them to have a record of it. Our stories matter to our families and to God. This Christmas, take time to sit down with your children and tell them your stories. Tell them about your family, your faith, and the greatest story of all - the story of God's love. My hands shook as I fought the urge to turn and run away. What was I thinking? What had I done? I was too scared to move ahead, but the decision was made and there was no tuning back. Fearfully, reluctantly, I scoured the shelves until I found the books I needed for my college anatomy/physiology and sociology classes. Ten years before, I made the decision to walk away from college and a full scholarship. When I graduated from high school, I was young and idealistic and had no idea what I wanted to do with my life, but I knew that I had to go to college. It was what everyone expected, even though I was floundering through with no clear direction. A four year degree was what I was supposed to do. Direction came as my sophomore year ended, when I got engaged and dropped out of college, to the protests of my family. I promised myself that when I figured out what I really wanted to do in life, I would go back. Ten years passed, along with seven moves, two kids, and lots of ups and downs. I worked a part-time job that I loved, but knew there was no room to advance. I wasn't satisfied. At thirty years old, I decided it was finally time to go back to school. Absolute terror gripped my heart. I had officially lost my mind. How on earth would I manage my life as a pastor's wife, mom of two little boys, children's minister, and manager of a small fitness center - with a load of college classes thrown in? Most of my friends supported me. A few told me I was crazy. A small handful were even hurtful. But this decision wasn't made easily, and it wouldn't be changed easily. In January 2010, I dove back into college. The crazy thing was, I did really well. In 2011, I was accepted into the dental hygiene program at a local college, and in 2013, I walked across the stage to receive my diploma as my family cheered me on. While I was in college, people often told me, "I don't know how you do it." To be perfectly honest, I don't know how I did it either. I'm nothing special. I don't have superhuman balancing abilities. Most days, I feel completely out of balance. If I'm doing well at one thing, I'm letting something else fall apart. So how did I manage? I think God gives us all crazy dreams sometimes. And I don't believe He gives them if He doesn't intend for us to follow them. We may not know how we're going to manage. That's okay, because He does. Other people may criticize our dreams, but that's okay, because they're our dreams, not theirs. If our dreams seem too big for us, it's all the more opportunity for God to show His power through us. Since that crazy decision five years ago, God has continued taking me outside of my comfort zone. It's never been easy, but it's always been worth it. In the past two years, I've graduated from college, changed careers, run my first 5K, published two short stories, finished my first novel, and entered several writing contests. The next crazy step? Editing my novel and submitting it to agents and publishers. Am I scared? No - I'm terrified. But I know now, just like I knew when I started college, that God is the One leading me down this crazy dreamer's path, and if He called me to do it, He will give me what I need to get through it. My Bible looks pretty rough these days. I've glued Genesis back in a couple of times. Papers are tucked into the back. 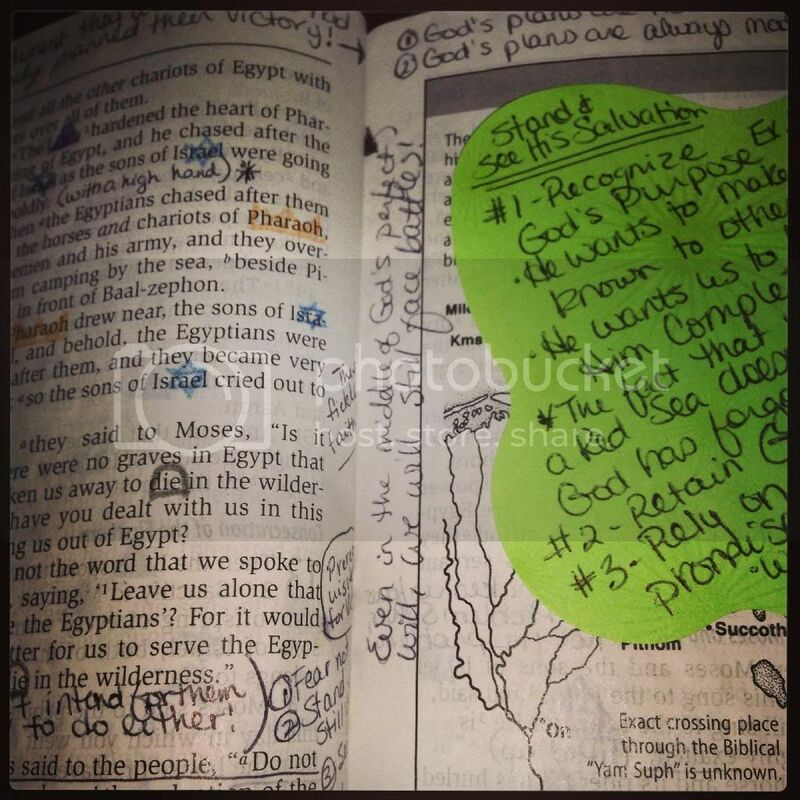 Colored pencil marks, thoughts from sermons and Bible studies, and sticky notes fill the pages. 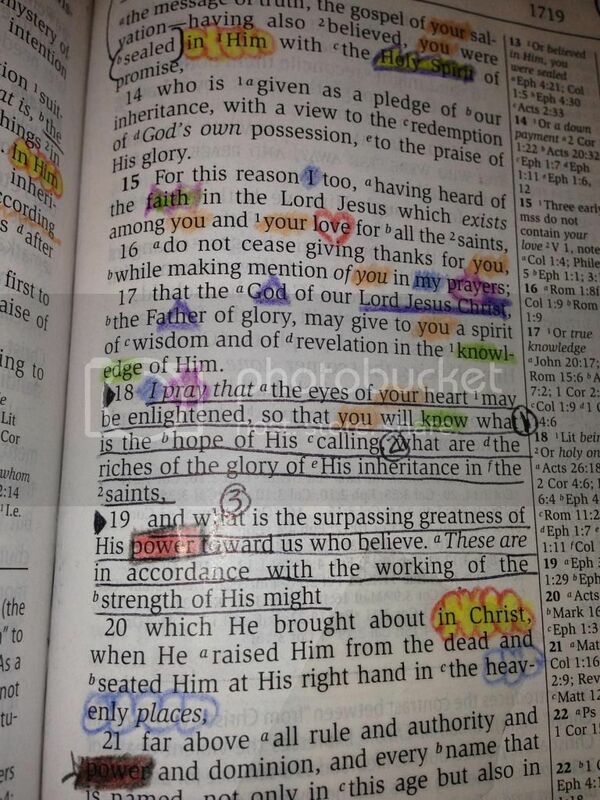 One page in Ephesians even has tape on it. The page ripped, and a wide piece of clear tape was the only way to repair it. My Bible may not be "pretty" but it's a record of my life over the past twelve years, with the ups and downs, the heartaches and the triumphs, nothing held back. A lot of people are reluctant to mark in their Bibles. They don't want to mar the pages, or maybe they see it as disrespectful. But I see it as an essential part of Bible study. Marking my Bible helps me connect with the truths it contains. It also serves as a concrete reminder of the faith that shapes my life - something my children and even grandchildren can hold onto one day when I'm gone. Have you ever read a verse that just seemed to jump off the page at you? What about a moment when God seems to speak directly to you through a verse or passage you're reading? When I have those "aha" moments, I grab a pen and underline it. Sometimes I'll add other symbols (like inductive study marks) or notes to the side. Other times, it's a simple underline, just enough to catch my eye the next time I read through. I'm a visual learner. When I'm learning something new, I need to see it and try it for myself until I learn. 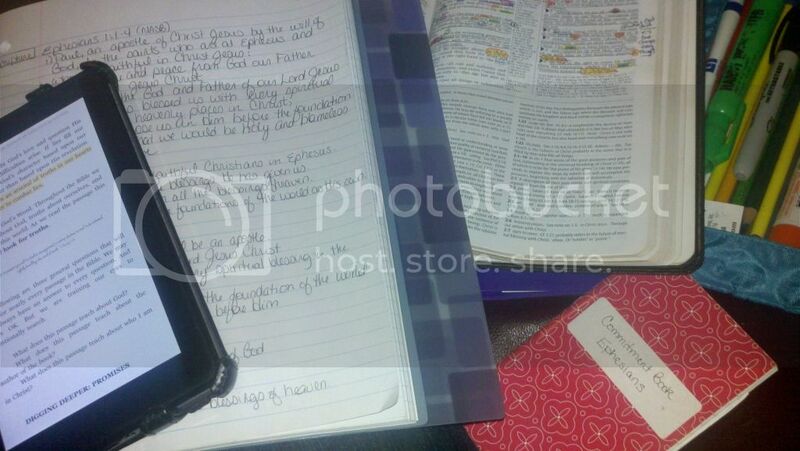 The first time I heard of inductive Bible study, I knew it was just what I needed. Kay Arthur is the most amazing teacher. Her website is full of free information to help you get started, including an introduction to inductive study. I also highly recommend her books. Inductive study can seem a little overwhelming at first, so if you want to check it out, start small. Choose a short book - Ephesians is a great one - and work through it. 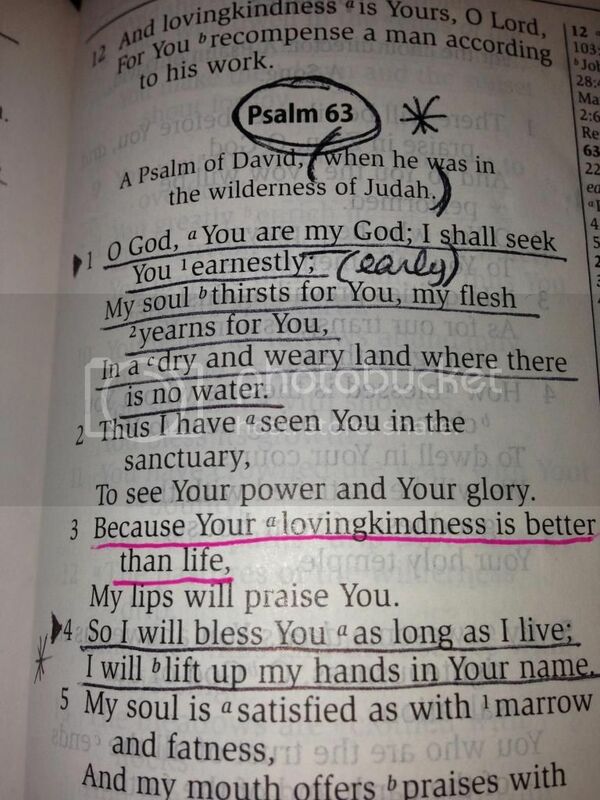 I was flipping through Psalms as I wrote this post, and I stumbled across notes I'd taken on Psalm 91. I dated it November 17, 2010, with the note "the day I found out about (a family member)." It was a personal situation that shook me to the core. The message my husband preached that night was called "Living in the Secret Place." It was a message full of God's promises - His refuge, His protection, His love. It was exactly what my aching heart needed that night, and it was proof that God heard my cries. He heard them before I even cried out - before I knew what was happening. Those notes are precious to me. I have a lot of sermon notes in my Bible. A sermon can bring out exactly what I need to hear, or I may find a nugget that I want to study more. See-through Post-It notes are perfect for this! 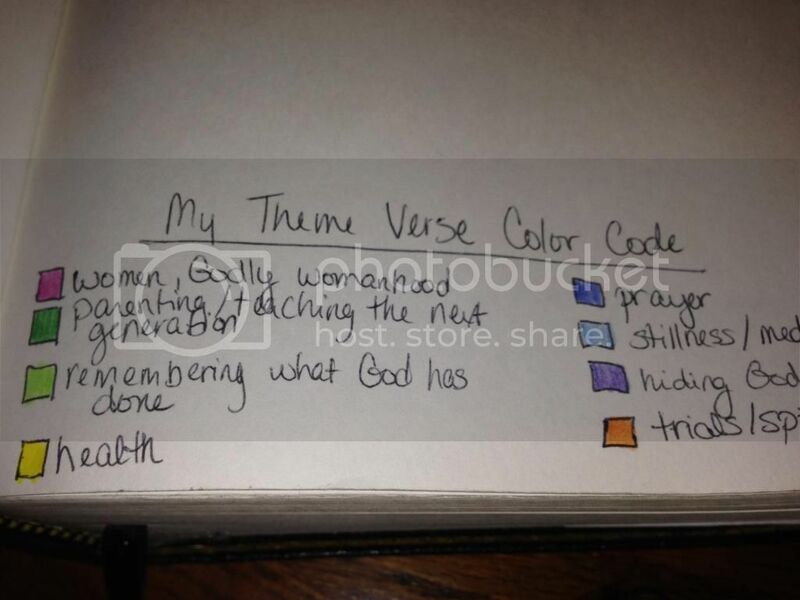 In the front of my Bible, I have a color code for a few key areas. These are the big themes I'm passionate about: prayer, hiding God's Word, remembering what God has done and handing our faith down to the next generation. When I come across a verse that fits into one of those categories, I'll mark the verse number with the corresponding color. Do you mark in your Bible? Do you use a certain Bible for it and keep a separate one for church, or do you use the same Bible for everything? Fall is the perfect time to curl up with a good book - and what can beat a great mystery/suspense novel? 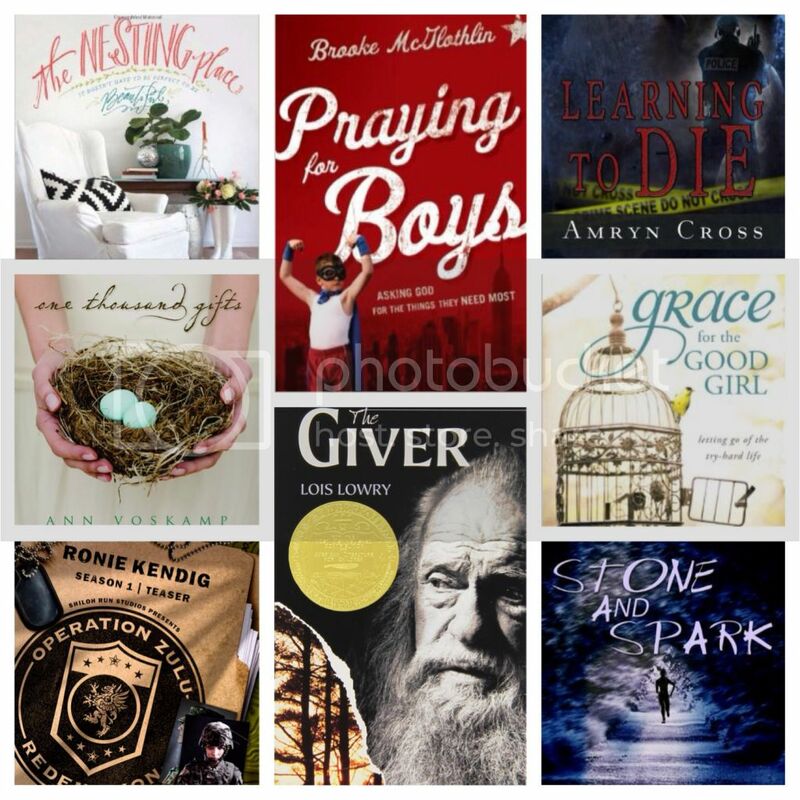 I'm so excited to give away SIX amazing books to one lucky reader! Thanks so much to each and every author for taking part in this. These amazing women have taught me so much about writing. Heather, Bethany, and Sarah were some of my earliest cheerleaders when I started to seriously pursue writing. Amryn, Marcy and Heidi are members of my ACFW critique group. They are all great writers, and I'm so thankful for them. Emily Fox died ten years ago, but she’s not dead enough for Endriago—head of the Colombian drug cartel who murdered her brother while she looked on. Now living in Miami as criminalist Kate James and under the protection of the U.S. Marshals, Emily is explosively reunited with her past, propelling her headlong into a web of corruption. Two men stand in her way—one threatens her heart, the other her life. Both underestimate her. Because in the race to solve her brother’s murder, she has nothing left to lose. Dialysis nurse, Danielle Battershawn’s, life is turned upside down when her identical twin is murdered. As she strives to deal with yet another death, the killer sets his sights on eliminating her. Can handsome security consultant, Tyler Covington, keep her alive? Child of the Appalachian mountains, Tess Spencer has experienced more than her share of heartache. The Glock-wielding, knife-carrying housewife knows how to survive whatever life throws at her. But when an anonymous warning note shows up in her best friend Miranda’s mailbox—a note written in a dead woman’s handwriting—Tess quickly discovers that ghosts are alive and well in Buckneck, West Virginia. Hot on a cold trail, she must use limited clues and her keen insight into human nature to unmask the killer...or the next victim might be Tess herself. 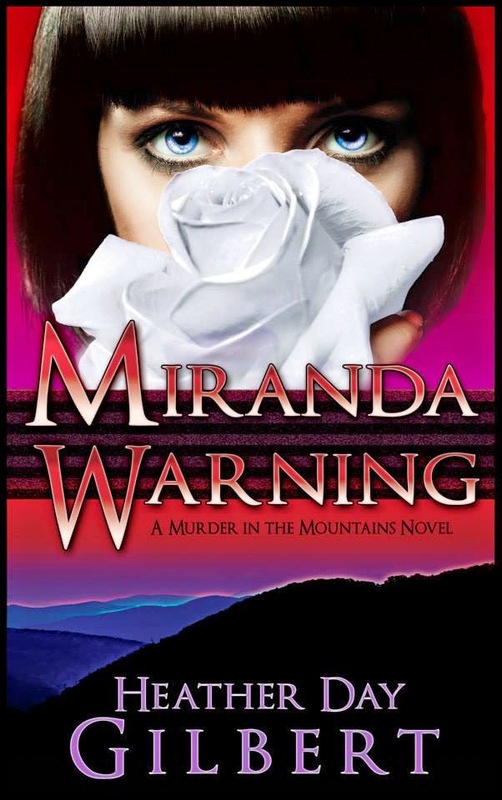 Tinged with the supernatural and overshadowed by the mountains' lush, protective presence, this twisting psychological mystery is the first in A Murder in the Mountains series. When disabled ex-Marine Mark Graham reconnects with his best friend’s sister, he finds himself falling in love. But Beth Martindale’s presence is a constant reminder of events he’d rather forget. Mark wants to move forward, but the secrets surrounding her brother’s death as well as his own confinement to a wheelchair threaten to tear them apart. When a psychopath who calls himself The Knight fixates on Beth, Mark is determined to give her the protection he failed to give her brother on the battlefield, yet he discovers that a wheelchair isn’t the only impediment he has to keeping Beth safe. 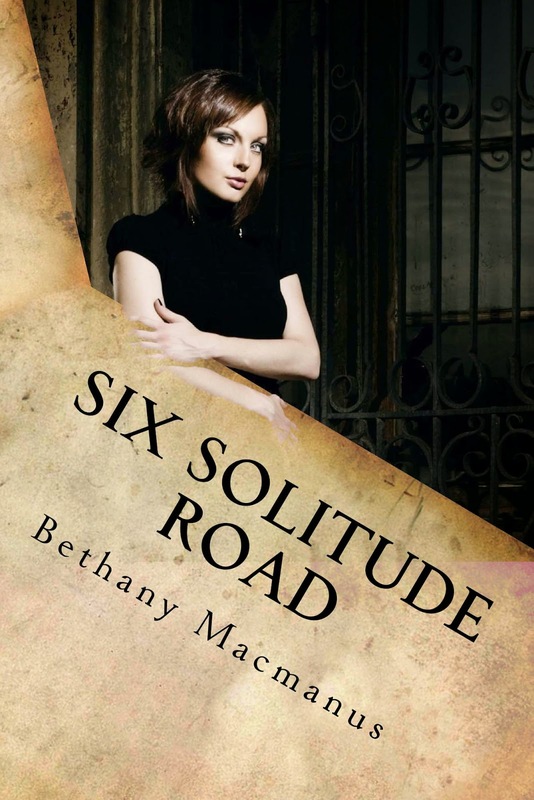 Will terror win or can Mark find the strength of mind and body to rescue Beth and find his own redemption? One morning, Kate Marset discovers her seven-year-old student Becca is missing, and all the evidence in her disappearance points to Kate's husband Clint. At the Christian school where Becca disappeared, Kate finds more than one lead the detectives have overlooked. 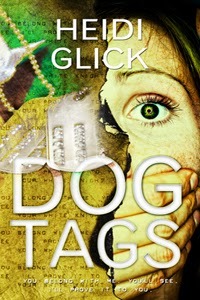 Armed with a Colt .45 and an incriminating flash drive file, Kate struggles to prove Clint innocent in this kidnapping. All the while, her own daughter Janna slips away emotionally. Is something dark at work in the little girl's life? Or is it just growing pains? The only way for Kate to find out is to dig into the layers of sin holding her town, her husband, and her own house captive. Two murdered men are the last thing wildlife trooper McKenna Clark expected to find in the stark Alaskan wilderness. As the only law enforcement in the area, the responsibility for the case rests on her shoulders—along with the danger. 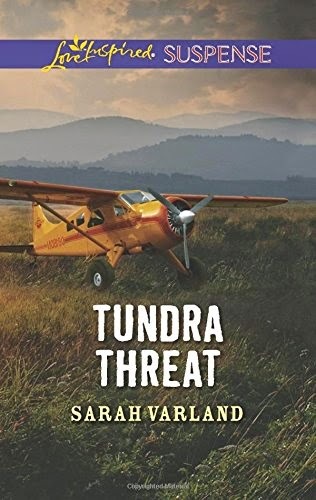 Hunting guide and pilot Will Harrison wants to ease the load, but McKenna balks at the thought of letting him close enough to break her heart again. When McKenna's investigations put her in harm's way, Will must race against the clock to save his second chance at love from becoming the killer's final victim. Enter through Rafflecopter. Winner be announced via blog and Facebook. Vacation is over. Last Monday morning I sipped coffee on the balcony for the last time. 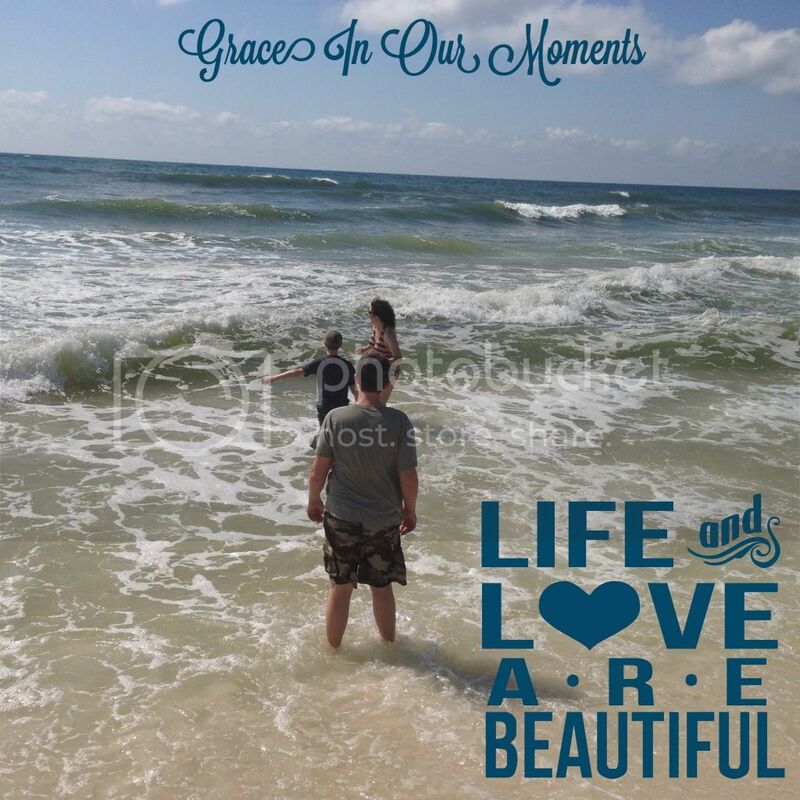 We loaded our SUV and left our condo in paradise after spending five nights in Orange Beach, Alabama with my sister-in-law and niece. Every day was amazing - swimming, floating the Lazy River around the pool area, sitting in the hot tub, napping by the pool, writing, shopping. Before we left, my boys asked if we could buy a condo at the resort. I told them if I hit the New York Times Bestseller list, we'll talk about it. I went home with bags of dirty clothes and a to-do list. My hair was crunchy from the salt water and chlorine, my skin was toasty, but my soul was refreshed. I honestly can't remember the last time I was so relaxed. It was probably our last big beach trip, ten years ago. This trip was exactly what a worn and weary momma needed. Why don't I do this more often? Not just the vacation - there are obvious reasons we can only travel periodically, like jobs and gas prices. But why don't I embrace the little things: Sipping coffee on my patio as the sun rises, watching my kids play, lingering over the pages of a good book, enjoying the stillness and quiet without feeling the need to fill the silence? My life - and I'm guessing yours too - is full of the busy and the bustle. Do this, go here, call them, drop off that. It's a crazy blend of work and grocery shopping and errands. The clock is always ticking. Do we ever slow down and really just take a look around, appreciating what God has gifted to us? Sometimes we need to just stop and realize how beautiful life really is. I try to appreciate the little things with my One Thousands Gifts list. It’s made a huge difference, but I spent just a few minutes each day jotting down gifts. The rest of the time, I live in the busy, negative world surrounding us all – the world that pulls us down much too quickly. 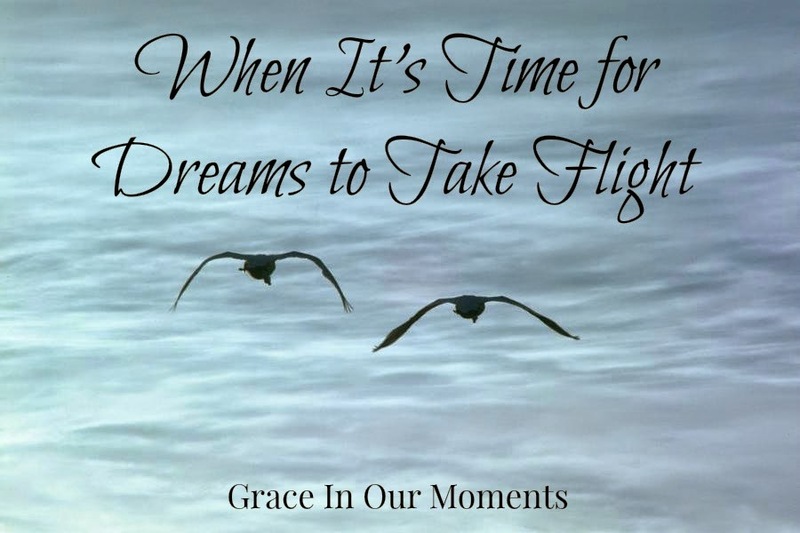 How do I hang onto God’s graces? Late last week, I went running with my family through a quiet neighborhood in our small town. My oldest son caught sight of some flowers on the side of the road and pointed them out to me. They were nothing fancy – probably just considered weeds – but they were beautiful. It made my heart smile to see him appreciating something so small. It also made me realize maybe my efforts are paying off. The boys make fun of my tendency to pull out my iPhone for photos of birds, flowers, and spider webs. Yet here’s my oldest, noticing the same things. Maybe we can teach each other to be thankful for every moment and every breath, to embrace our everyday gifts. September is a time for fresh starts. Kids head back to school carrying new backpacks filled with freshly sharpened pencils. The relaxed chaos of summer, vacations, and lazy days gives way to structure and early bedtimes. It's a great time to start over. Maybe you let your time with God slip away during summer. You know it's a good thing, a necessary thing to grow your relationship with God. It just got pushed aside. Or maybe summer allowed you more time with God. You had unstructured, unlimited (or less limited) time to savor your Bible study and prayer. Now that school is back in session, maybe you're tempted to rush through your morning quiet time as you hurry to get everyone out the door. I'm in the first group. After a chaotic summer, I'm more than two months behind on my 'read through the Bible in a year' plan. I'm preaching to the choir as I write this. I need a fresh start, too, but I'm determined to dig deep and finish my reading plan on time. We know our time with God matters, but putting it into action can be pretty intimidating. You get up early, ready to check in with your Hello Mornings group or your She Reads Truth app - but suddenly find yourself staring into the distance, feeling lost. What now? 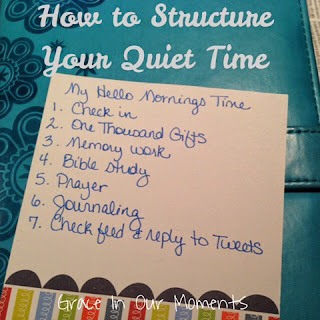 Over the past several years, through a lot of trial and error, I've developed a structure for my quiet time. It works well by keeping me focused, and I know exactly what to move into as I finish each part. I always start my quiet time with gratitude. It helps me focus my mind on what I'm doing, and it starts my day on a positive note. A gratitude journal is the fasted way to improve your attitude, because once your start counting His gifts, you find yourself looking for more. Little things become big gifts as you look for God's graces. This was the "missing piece" of my quiet time for years. I knew I needed to memorize Scripture, but I didn't know where to start. One of my favorite resources is Do Not Depart, a great website run by Katie Orr. Her "Hiding His Word" challenges are so encouraging. Jesus Calling is the most popular devotional out there right now, with good reason. It's a short read that always seems to have just the words I need for that day. I will be the first to say, this quick devotional isn't meaty enough to fill your entire quiet time - but it's a perfect way to focus your mind on Him and prepare your heart for your deeper study. There are so many great resources available for Bible study! You can join a Hello Mornings group, read through the Bible using the SOAP method, or go through a She Reads Truth study. 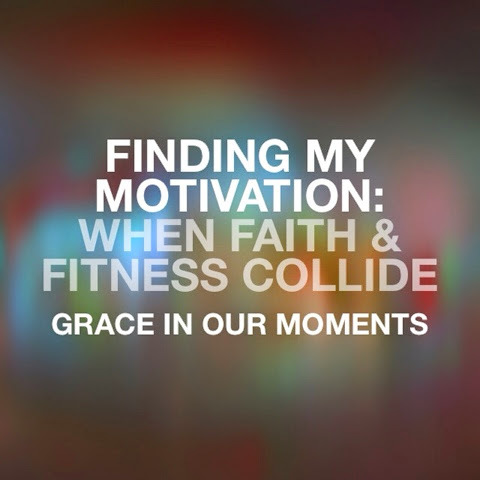 I shared several different methods of Bible study back in April. Find the one that matches you and your needs, and dive in. The study you choose doesn't really matter - what's important is consistently getting into God's Word. "Mom, can I have a Coke?" "It's the same thing. No!" I know I'm not the only one who has this conversation in some form on a daily basis. My kids don't like to hear the word "no." Many times, when I tell them no, they ask again. And again. And twenty more times. They're persistent, and they hate it when I say no. A few months ago, I prayed for something I really needed. It was a really good thing. I didn't just want it, I truly needed it. I put it in God's hands, but honestly, I thought the answer would be yes. Turns out, I was wrong. God told me no. Of course, I handled it in the most mature way possible - I spent the rest of the day moping, then went to sleep watching my favorite movie and dreaming about going to Paris. (It solved all Sabrina Fairchild's problems, so it should work for me, right?) Everyone around me knew, without question, that I was upset. It wasn't fair. I wasn't being selfish. This was important to me. This was a need, not a want. 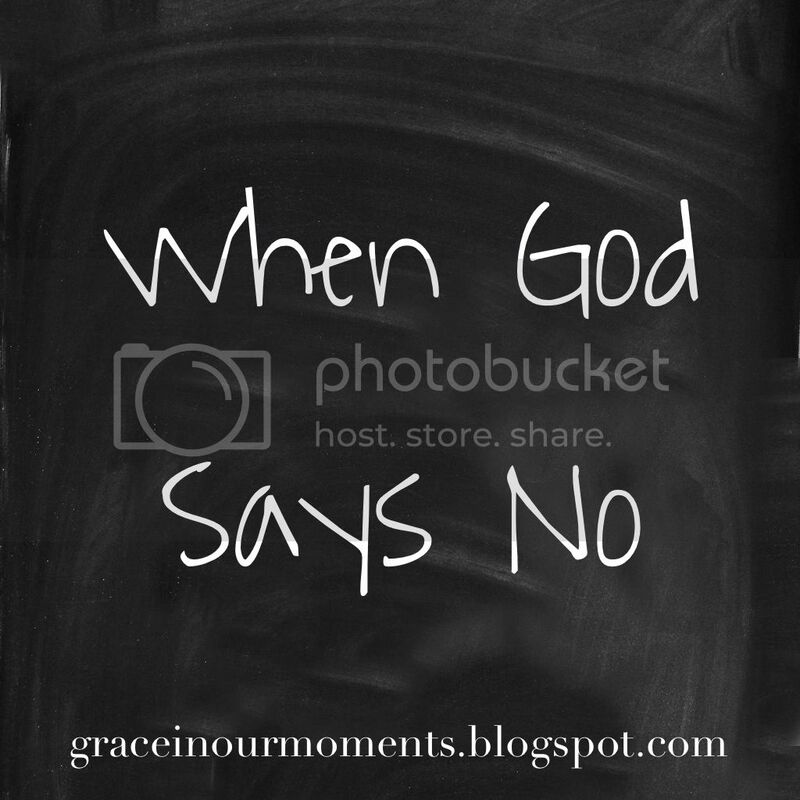 So why did God say no? The next morning, reality hit me. By moping and being upset, I was letting everyone know that I wanted MY way, not God's - that I thought MY plans were better. Ouch. I'm supposed to be more mature than that. One of my favorite Bible verses is Jeremiah 29:11: 'For I know the plans that I have for you,' declares the Lord, 'plans for welfare and not for calamity to give you a future and a hope.' (NASB) God had a plan - and it didn't line up with mine. His plan was bigger and so much better than anything I could do on my own. A few days later, God answered my prayer. It wasn't what I expected. It was a different answer, but the result was what I'd wanted all along. God worked things out perfectly. He has a way of doing that, even when I can't see what He's doing. Sometimes, when God says no, it's because He has something even better for us. 1. What am I writing or working on? I'm always working on several different projects. I normally write here on my blog at least once a week. It's been a little slow lately because of a huge children's ministry remodel I've been working on, but we finished Saturday, so I can get back to my regular posting schedule now. I'm also a contributor to the Christian mystery/suspense blog Sleuths and Suspects. I've had two short stories published this year and I'm working on several more. I'm closest to finishing my first suspense short story - I'm doing edits and hoping to submit it to some magazines soon. By far, though, my biggest project is my novel. Right now, I'm about 2/3 of the way done. I just entered my first contest with my novel this month. I also plan to enter ACFW First Impressions later this year, and my goal is to finish in time to enter the ACFW Genesis contest next year. I wish I could share more details, but I'm being vague about the plot because of the upcoming contests. My novel is a mystery, and it's Christian fiction - but it's a little different. It's not romantic suspense. 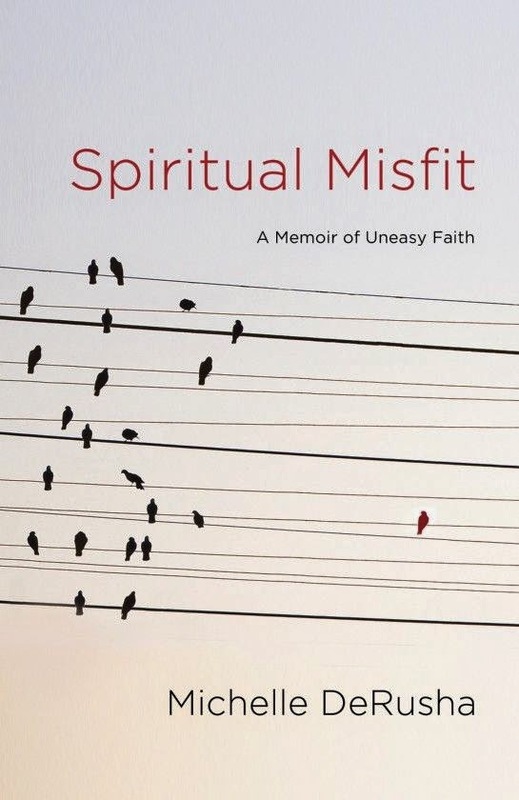 My main character is a Christian, and the story definitely comes from a Christian world view - but at the same time, I want someone doesn't read Christian fiction to be able to pick this novel and read it without feeling "preached to." 3. Why do I write about what I do? People have questioned me on my reading choices more than once. Here's the reason behind it: We don't live in a perfect world. We live in a dark world, with a spiritual war raging all around us. Our faith doesn't make us immune to the horrible things that happen in life. I find myself drawn to stories where people face the worst in life - and somewhere, in the midst of the darkness, they cling to faith, and God carries them through. I like books that show us that even in the middle do the darkest night, God is there. He's clinging to us, and He's never letting go. My stories usually start with just a nugget of an idea. It might be a line, a scene, or just the question, "What if..." My most recent story, Salt Water, started with the idea of a woman standing on the beach, shivering in the cold water and wrestling with the past, and it went from there. My blog posts often come out of something I'm struggling with or learning about myself. I use the Werdsmith app on my iPad for all my blog posts and a lot of my stories. I typically write my entire blog post on my iPad, then paste it directly into Blogger to edit, add photos, and finalize the design. I'll usually start my stories on the app, then email them to myself and move them into a Word document. My book actually started with the main character and went from there. 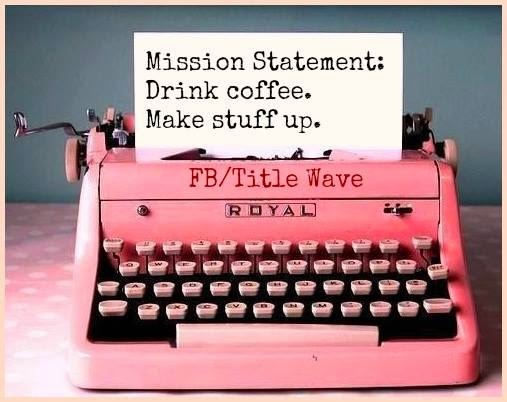 The first idea I dreamed up won't be in the first book - I'm saving it for later. Over several years, I built my ideas of my character, her life, her family, and her surroundings. It took a long time to work up the courage to actually start writing the story. I don't have a set writing schedule, but I do a lot of my writing on my lunch breaks or on weekends. I stay busy with my family, my job, and our church, so I squeeze in time whenever I can. Jenni Saake blogs at Infertility Mom. We met through an (in)Courage group a few months ago. She is so inspiring! Karan Gleddie and I met through our Hello Mornings Twitter group. Karan is always an encourager! You can find out more about her at her blog, Karan K. Gleddie. Anita Strawn de Ojeda is part of a wonderful writer's group that I became a part of about two years ago. Five of us founded the group, which has now grown to thirteen members. We call ourselves The Writer's Bra, because our goal is to support each other as writers. You can learn more about Anita at Blessed But Stressed. Last but certainly not least is my critique partner, Kelly Liberto. Kelly was an answer to prayer when I got serious about finishing my novel. She encourages me, and she pushes me to do better. She's also talked me down a couple of times when I've been on the verge of a meltdown. Check out Kelly's writing and more at her website. "I'm exhausted, overwhelmed, hormonal, and desperately in need of chocolate." I was on the verge of tears when I sent the text to a friend a few days ago. It was one of those weeks when everything just seemed to grate on my nerves. Already exhausted, I was headed to the church to paint and work on our children's ministry remodel. 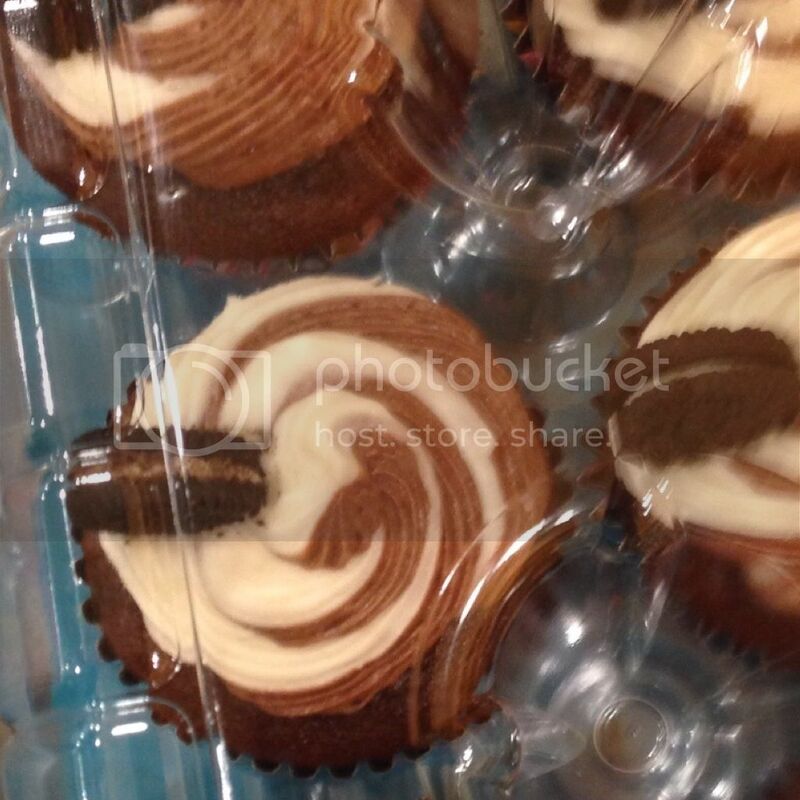 It was easy to focus on the negative - and that's exactly what I was doing, until I got to the church and found a great surprise: homemade cookies and cream cupcakes from a church member. That simple gesture was all I needed to find my joy again. The world isn't always a joyful place these days. We're surrounded by the negative: in the news, on social media, in line at the grocery store. Even among Christians, there is less joy and more criticism, complaining, and negative attitudes. What people have apparently forgotten is that, as followers of Christ, we should be the most joyful people on earth. We can laugh and smile and rejoice, because we are free. We were rescued, redeemed by our Creator, and inscribed on the palms of His hands - why shouldn't we be happy? My kids make fun of me because I pull out my iPhone camera for seemingly unimportant things: birds, flowers, raindrops, spiderwebs. But when I see these little details, I see God. I see His creativity and His love for beauty. I see His gifts, and they surround me. A few years ago, I started keeping a gratitude list in my journal - a "one thousand gifts" list, inspired by Ann Voskamp. Gratitude is a funny thing, because when you start noticing God's gifts and thanking Him, you find yourself actively looking for more. You search out things to be thankful for. Gratitude leads to more gratitude. It leads to a heart that finds everyday joy in the simple things. My challenge to you: Start a gratitude journal. Grab a notebook and a pen. Pick up your camera. Then start a list. Add in photos later. Look around you and find things to be thankful to have in your life. Big or small. Need help getting started? Download Ann's beautiful Joy Dare prompts for every day of the year. Count your gifts every day, before you start the rush of your daily life. You may be surprised at the everyday joy you find. One week. That's all it took to change my perspective and find the motivation I needed. I knew things had to change. For months, I'd grown more and more exhausted, despite less stress and a more relaxed pace to my life. Aches and pains became normal. I was unhappy with my body. So when I saw a Facebook post in April about a local running group starting a Couch Potato to 5K plan, I signed up - and I drug my kids along with me. With the exception of our youngest son, we are not a family of natural athletes. To be honest, I stink at sports. My youngest didn't inherit that from me, so I wasn't surprised when he took off running that first night, outpacing us all. I ran with the group, while my oldest stuck with the walking group. Neither child was excited about being forced into a workout group. The second night, another runner talked my oldest into joining us. My son reluctantly agreed, but made it clear that he didn't think he could finish. We forged ahead with our run 60 seconds/walk 90 seconds plan. And he finished. He did the whole thing, right beside me. During the next several weeks, I watched my son go from saying "I can't do this" to saying "I'm going to run a 5K." I saw the determination on his face every time we went to the track. One night he even quoted Jillian Michaels when his younger brother wanted to quit: "Unless you're puking, fainting, or dying, you don't quit." My youngest did eventually drop the plan - and I agreed, because he's young and I don't want to push him too much - but my oldest kept running. He dug deep and found a place in himself that he never knew existed. 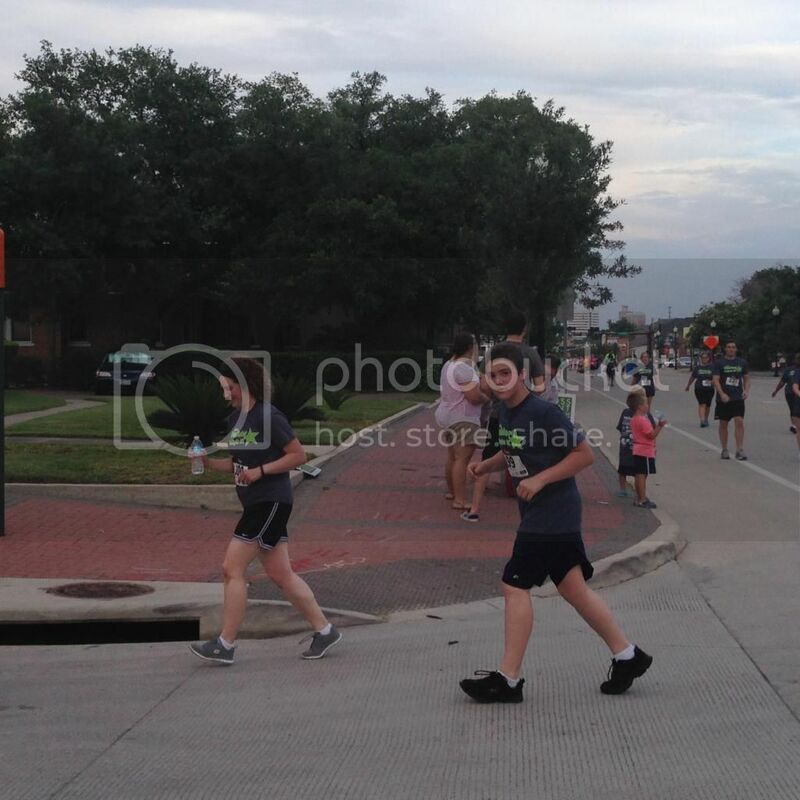 Every "first" has been amazing: quarter mile, mile, two miles, and a few weeks ago, our first 5K. Seeing my oldest son running inspires me. He is learning lessons that will follow him into adulthood - perseverance, discipline, the value of a healthy lifestyle. We push each other. Sometimes I really want to quit - but I don't, because he's watching. I'm faster, so sometimes I slow down and run with my son so he doesn't get discouraged. Other times I run ahead and call back to him, pushing him to dig a little deeper and move faster. Knowing that he is watching makes me run faster, better, and more often, because I want him to follow my example. I can't quit, because they're watching. My sons are looking to me for an example, for encouragement, for a blueprint on how to navigate life and a walk with God. They need to see my faith lived out. It's terrifying, because I know all too well how weak I am. But I have to get pushing ahead, not just for myself - but for them. As for running - now that our first 5K is behind us, we're planning for more. I'm looking at a possible race in August, we're planning to run a few together this fall, and I'm eyeing my first ever 10K in November. We run together a few times a week, and my youngest son is joining us again. He will be racing with us this fall, if all goes according to plan. It's become a family activity - sometimes fun, sometimes filled with complaints, but it's something we do whether we feel like it or not - because it's not about us. It's about the fact that our bodies are temples of the Holy Spirit, bought with a price. It's about honoring God with our bodies. It's because through every run, the good and the bad, we're learning and setting an example. That's my motivation. Our world screams for attention. In the age of Internet on cell phones, Facebook and Instagram, viral videos and more, we're surrounded by voices. Everyone has an opinion, and everyone tries to scream loud enough to be heard. It's overwhelming. Trying to listen to everything makes my head spin and leaves me feeling overwhelmed. The sad fact is that most of what we hear isn't truth. We hear opinions. We hear twisted versions of what people call truth - but in reality it's their attempt to twist reality to meet their lifestyle. We hear a lot of outright lies. How do we focus on God when all this is happening? Sometimes we need to shut it all out. It's easy to forget what's really important in this noisy world. There is only one voice and one opinion that matters: God's. But how do we keep our focus on Him? 1. Start your day with God. If I don't carve out time with God each morning, I can almost guarantee that my day will be rocky. I need time each morning to drink my coffee, read my Bible, pray, and focus my mind on the One in charge in my life. I write out what I'm thankful for, study the scripture I'm memorizing, do my Bible study (currently I'm using She Reads Truth studies), and pray. It usually takes 30 minutes or so. Do I have to get up earlier? Yes. Does it take some extra effort? Yes. But it's completely worth it because it helps keep my mind focused throughout the day. I'm not talking about leaving social media. I know people who have done this, and they felt it was the right thing to do. But I don't think that's the answer. There are great things on social media! I'm part of Bible study groups, accountably groups, and even a Scripture memorization group. We need to connect with others, and the online world offers a great way to do it. What I suggest instead: Limit what you see on social media. Do you have friends who post inflammatory things on Facebook? Hide their posts from your news feed. Do you need to clean up your list of who you follow on Twitter or Instagram? Unfollow people whose posts drag you down. Take charge of what you see. If you need to find more inspiration, follow Hello Mornings, She Reads Truth, A Holy Experience and Hide His Word, just to name a few. It's hard not to argue back when people shower a website or post with negativity. But in most cases, their mind is made up, and your rebuttal isn't going to change anything. In many cases, their entire goal is to start a fight. Don't give them the fuel, and don't get into an argument that will only raise your stress levels and keep you upset. I know it's hard to stay quiet, but leave your positive feedback, and let your words shine a light into the darkness. I'll admit, I'm preaching to myself here. I spend far too much time attached to my cell phone and iPad. It's a habit I'm working to break. Sometimes we need to just unplug from the world. Every photo doesn't have to be Instagramed. You don't have to post every cute thing your child says to Facebook. Your latest email probably doesn't need your attention this very second. Sometimes the best thing we can do is just step away from the connectedness and just live our lives. What are your greatest struggles when it comes to staying focused on God? 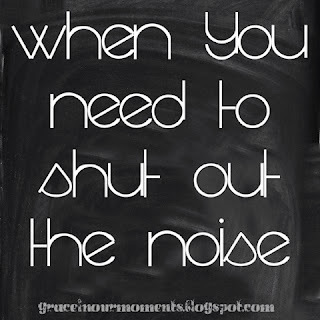 What helps you shut out distractions? June has been an amazing month. It's also been an amazingly busy month that hasn't left much time for blogging. 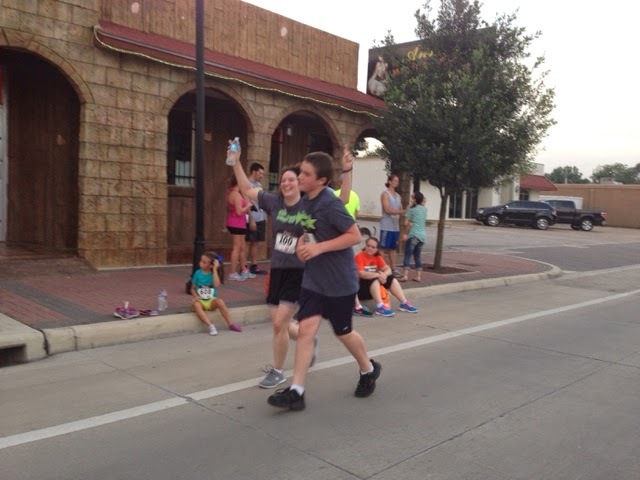 One week ago, my oldest son and I ran our first 5K. We trained for two months with a local running group, going through the the Couch Potato to 5K plan.bour goal was to run the whole race, and we did it! It was amazing! There is a break this summer with no local 5K's - because no one wants to run in Texas in the summer. But there are lots of races this fall, and we're already maping out our schedule. Today my second short story, Salt Water, went live. It's in the June issue of Splickety magazine - and the featured author in this issue is Jerry B. Jenkins, the co-author of the Left Behind series. I'm so excited! You can find digital copies of Splickety magazine here. In the middle of all this, we've all been been sick (the one thing you don't want your family to share...), we had a huge kids outreach event, and we're in the middle of a major remodel at our church. "Chaos" is the only word that can describe this month! Because of our crazy schedule, I'm taking the rest of June off from my blog and pushing back my newsletter debut a couple of weeks. I'll be back July 1 with new posts, more exciting news and surprises. See you in a couple of weeks! Drained. Exhausted. Unfocused. Restless. Do those feelings sound familiar? My guess is you've been there. I have too. In fact, if I'm totally honest, I'm there right now. Lots of things can bring it on, but many times it's just the overwhelming demands of everyday life. For me, it's the complete remodel of our children's ministry wing at our church. I'm so excited about this project - it's been in the works for a couple of years, and the results are going to be amazing! But it's also a massive undertaking, especially since we're doing a big part of the work ourselves. Add to this planning two major summer events and training for a 5K, and you have the perfect recipe for a mom sucking down massive amounts of coffee and staring off into space, completely overwhelmed. We all have times when we're overwhelmed. Dishes are piled in the sink, a baby won't stop crying, kids fight endlessly, jobs change. Before you realize it, you're barely keeping your head above water. You find yourself exhausted, worn, weary to the bone, and barely hanging on. What can you do when you feel your peace slipping away? You can sneak away for a few minutes and completely lose yourself in The Hunger Games trilogy (ahem...not at I would know anything about that) - but a few minutes of fun reading won't fill you up. You can - and should - work out and get plenty of sleep. You'll be stronger, but it won't take away that 'edge of panic' feeling you get when life is closing in. This weekend, I got the reminder I needed from my morning time with God. My favorite devotional, Jesus Calling, opened with the words, "Time with Me cannot be rushed." Guilty. Right before I tapped open my devotional in my Kindle app, I was running through my to-do list for the day. My mind was already jumping ahead to other things. I hadn't even started my time with God yet, and I was already rushing it. 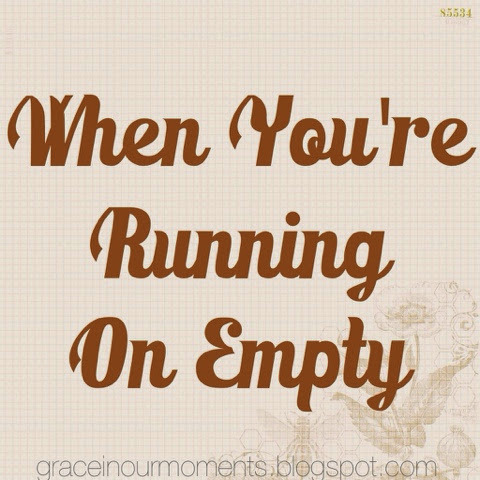 My time with God is the one thing I can turn to when I'm running on empty. It's the one thing that will truly fill me up. Job 22:21 (NASB) says, "Yield now and be at peace with Him; Thereby good will come to you." The NIV says, "Submit to God and be at peace with Him..." I have to give my crazy, hectic, 'guy at the circus spinning plates' life to God. I can't give it to Him if I don't spend unhurried, unrushed time with Him. This week, I'm refocusing by spending more time with God. I'm starting a new Bible study with She Reads Truth and a new Hide His Word memorization plan. What are you doing right now to focus on time with God? You're getting involved in Bible study. You're discovering your style and finding the best way to study. Now the only thing left to do is organize your study materials and notes so you can find the information later. 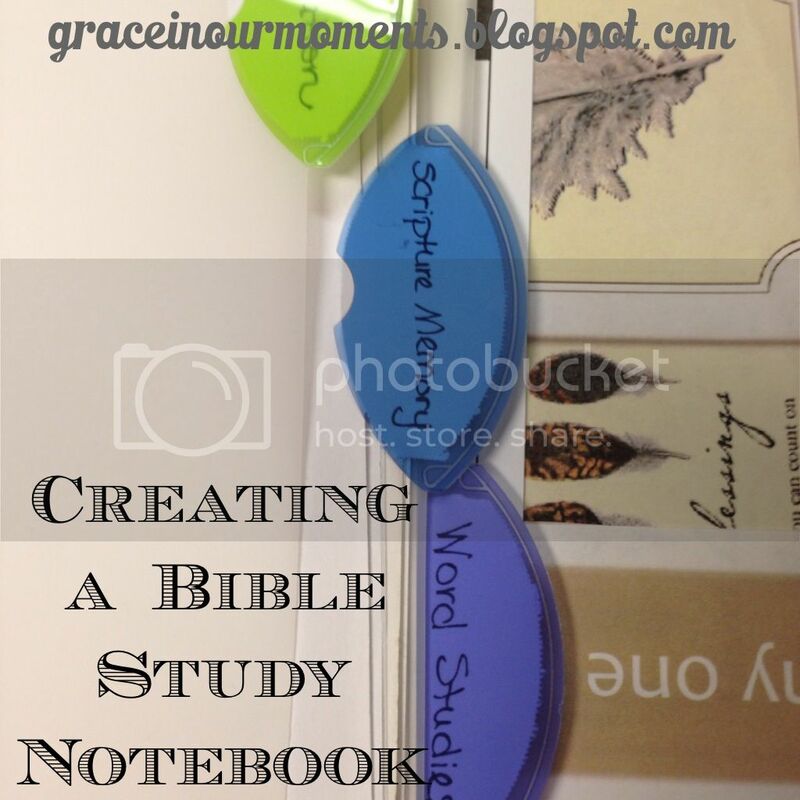 You're ready to create a Bible study notebook. 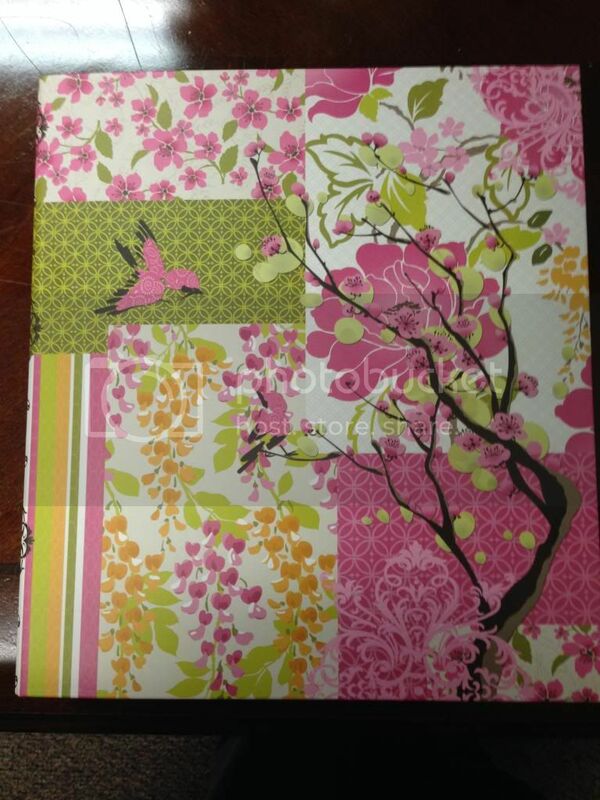 A simple three ring binder and some divider tabs are all you really need to get started. You'll want to get at least a 1 inch binder - anything less and you'll run out of room too quickly. Inspiration is everywhere, so whenever I find a great article or blog post that encourages me in my quiet time, I print it out for my notebook. At the beginning of mine is Ann Voskamp's "Sanity Manifesto" - the post that came when I so desperately needed a reminder to focus on what really matters. 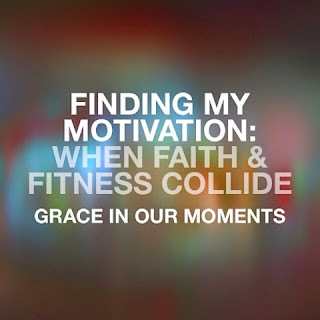 Behind it sits the email devotional that first led me to faith journaling several years ago. Find your inspiration and put it in your notebook to remind you of your "why." I started this section with a little inspiration, too - tips on how to memorize and review. While I use Scripture Typer for most of my memory work, I've decided to also hand-copy every passage I memorize and keep it in this section. It's easier to review a large chunk of verses this way. Doing organized, in depth word studies is something new that I'm adding to my study time. Each word will have its own page that I can add to it no matter what book or topic I'm studying at the time. Since this is my favorite study method, I have a section just for notes on inductive study. I also keep a chart of the symbols and colors I use so I can quickly find what each one means. This is for my current Bible study. Right now, I'm obsessed with the book of Ephesians. Once I'm done studying it, I will move my notes to their own separate notebook. And that's all you need. 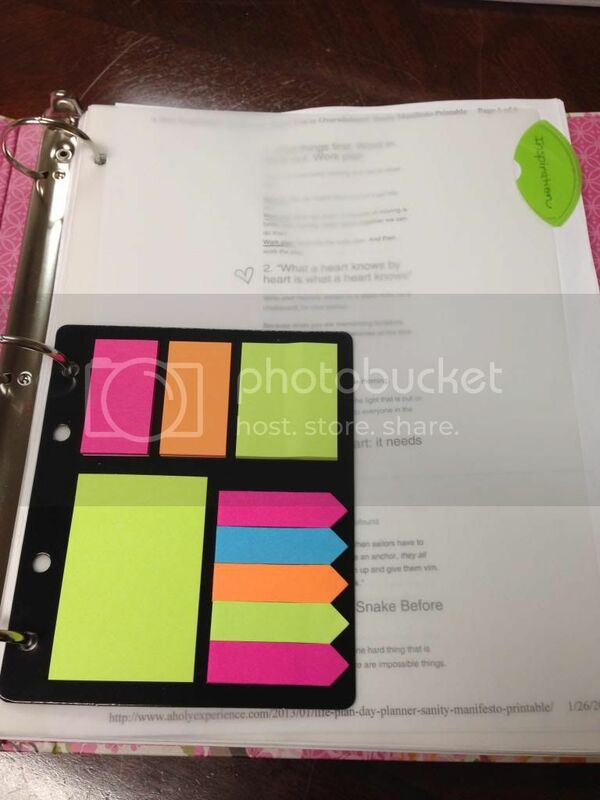 You can add more or less tabs to personalize your notebook, but in a few minutes you can have an easy to use, organized system for keeping all your Bible study notes. This post was supposed to go up last week, but I found myself in the middle of a last-minute decision to have a yard sale...which is why this post went up a week late. Sorry, everyone. I will stay on track this time! God has a sense of humor. I think it comes out a lot when we fall in love. When I met my husband, I was a nineteen year old vegetarian studying English literature and spending most of my spare time reading books or riding horses and working in the barn. He was an avid deer hunter who only read fiction when forced to - and he was already a pastor. A painfully shy girl like me wasn't exactly pastor's wife material. But God had other plans. I thought I had it all worked out. I would finish both my bachelor's degree and my master's before settling down. I would date the love of my life for at least a year before getting engaged. We would get married, have several kids and settle down on a large farm, where I would become a writer. I'm pretty sure God heard those plans and laughed. A lot. I met my husband when I was nineteen and he was twenty-four. We were friends - okay, actually, he was my pastor and we became friends during that time - for a year. Then he moved to another church an hour away, and my world crumbled. Suddenly I realized that my feelings were not longer just about friendship. He obviously felt the same way, because three weeks after he moved, he called and asked me for our first date. Less than a month after our first date, I had an engagement ring on my finger, and three months later, I became a pastor's wife. It was a rude awakening. Some moments were funny...like the time I said "I'll pass" when asked to pray. (I'll share that story when I guest post on Michelle's blog later this summer.) Some were painful...let's just say that pastor's wives aren't always treated by the Golden Rule. Suddenly the girl who spent almost 20 years living in the same house, the girl who treasured stability and routine, moved three times in less than two years. We would go on to move four more times in the next five years - sometimes across town, sometimes across the state, and finally out of state. As Michelle says, "I have liked a precisely ordered universe. I crave order and structure...and have an unflagging zest for control." Suddenly I knew that I wasn't in control of anything - and I think that was God's plan all along. He doesn't like to leave us in our comfort zones. Looking back, I can see that He had a perfect plan all along...I just wish I'd realized that sooner! 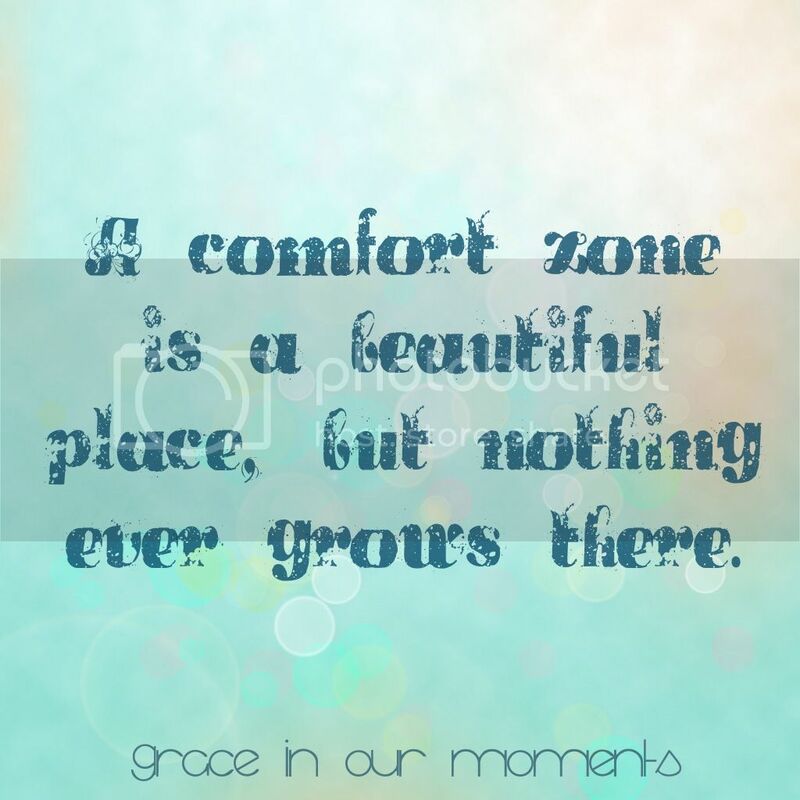 What has God done to take you out of your comfort zone? After my last post, you're ready to start studying your Bible, right? You have a good study Bible, you have an idea of the type of study you want - now what? It's time to choose a Bible study. These plans take you through major portions of the Bible, or the whole Bible. Examples are read the Bible in a year plans, the Bible in 90 days, or reading though the New Testament. This year, I'm reading through the Bible. I've done it once before, about ten years ago. It's a good balance for me, and it only takes about fifteen or twenty minutes a day. Even here, there are multiple plans to choose from - you can read the Bible cover to cover, chronologically or mixing Old and New Testament readings. You can do a plan like this year after year and change it up each time. YouVersion has great free plans available to help you read through the Bible. For my reading this year, I'm using A Woman's Guide to the Bible in a Year by Diane Stortz. I'm enjoying going through this plan with a Facebook group. The arrangement alternates readings - one book in the Old Testament, one book in the New Testament or a few Psalms. My favorite type of Bible study is inductive study. I love the depth of these studies - reading cross refernces, digging into the meaning of key words, marking maps, and really going deep into a text. I could spend weeks studying the same chapter. If this type of study appeals to you, Kay Arthur's Precept Ministries is the best place to start. She offers a free download that explains the basics of inductive study and many free study guides that are go along with her TV series--they also work well for individual study. The Bible wasn't written in English. The original Hebrew and Greek are very different from our language, and sometimes English just can't do as well with its descriptions. Word studies are perfect for going deeper into the Bible without getting overwhelmed. 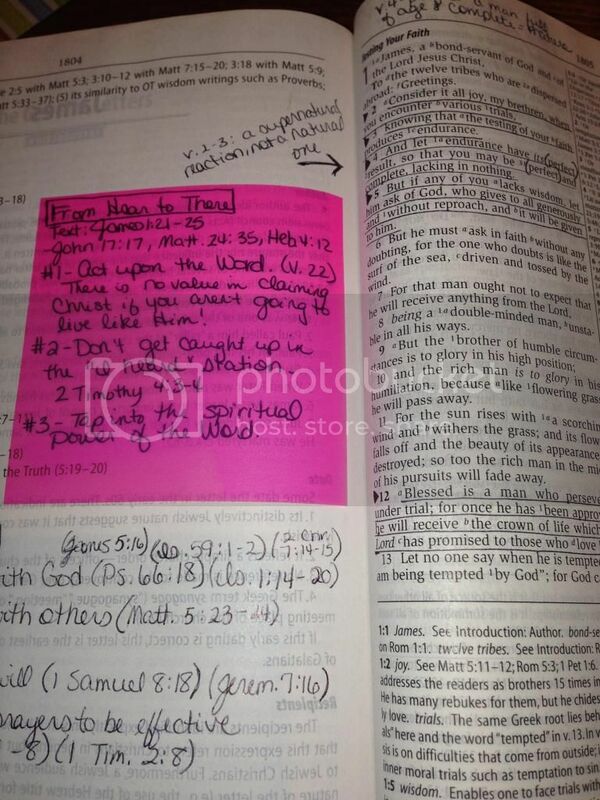 Two great examples are Kerri Wyatt Kent's Deeper Into the Word books. One covers Old Testament words, and the other covers New Testament words. Topical studies cover specific topics from the Bible. The possibilities are endless--from prayer to parenting. Lysa Terkeurst and Stormie Omartain have great books and studies available to help you dig into specific topics. This is my absolute favorite way to study the Bible. I don't know if it's technically listed as a method, but I love to focus completely on one book - studying it, writing it by hand in my journal, memorizing verses from it. I love to wrap my mind and heart completely around one book, digging into the individual words, using inductive study, and seeing how it fits into the bigger picture. Although I haven't gone through one of her studies, some of Beth Moore's studies take this approach. What method appeals to you the most? This week, look at a local Christian bookstore, online, or on the Apple or Android app store. Find a study or reading plan that is doable, gather a few supplies (notebook, colored pencils, or whatever you'll need for your specific study) and dive in. Grace. It’s what I beg for, on my knees before God, tears streaming down my face. I fall into His arms once again, desperate for healing. He is the only One who truly understands my pain, so I cling tight as I plead for more grace. Grace to understand, grace to forgive, grace to accept that this whole thing may never make sense. We all have a past. Whether we were raised in church or never darkened the door of one until adulthood, we've all done things we regret. For Michelle, it started with a necklace. I don't remember the specific event or the exact time when the fear and regret entered my heart, but I understand Michelle's heart, because I share it. For most of my life, my heart and soul ached with the knowledge that I would never be enough. I was thin - but I could always be thinner. My grades were good - but they could be higher. I was in every way the classic "good girl" - but deep down, I knew I could never be good enough. The good girl facade could fool a lot of people, but God knew the sins and struggles of my heart. Even as a child, I knew my soul was dark with sin. Every time I messed up, every time I failed to live up to the idol of "good enough," I begged for forgiveness. I cried. I prayed. As Michelle says, "Had there been a flagellation whip at hand, I would have used it in an instant, anything to gain a feeling of atonement." I lived so much of my childhood in fear that God would give me what I deserved. I grew up in church. I asked Jesus in my heart at the ripe old age of five. I loved Him, and I did my best to follow Him. Surrounded by strong examples of faith, I should have been encouraged. Instead, I looked past the lessons and set more impossible standards for myself. I clearly remember a late night in college, sitting in a truck stop/restaurant with a group of friends. A lady came in for coffee and sat alone, crying. One of friends immediately went to her table. She talked to her, hugged her, prayed with her. I watched, frozen, too shy and fearful to do anything but stare. I cried as I drove back to my dorm. There was no way I could ever do what my sweet friend did that night. Fear and shyness kept me from reaching out - and I convinced myself, once again, that God would never be truly happy with me. I tried to follow all the rules and check off everything on my "good girl" list, but I fell short every time. College changed everything for me. Well, not college itself, but it was the catalyst. As I dove into Bible studies and college ministries, God worked on my heart. I'll share more as our weekly discussions moved along, but for now, let's just say that God didn't leave me the same. 1. Do you remember a moment when you really messed up? 2. 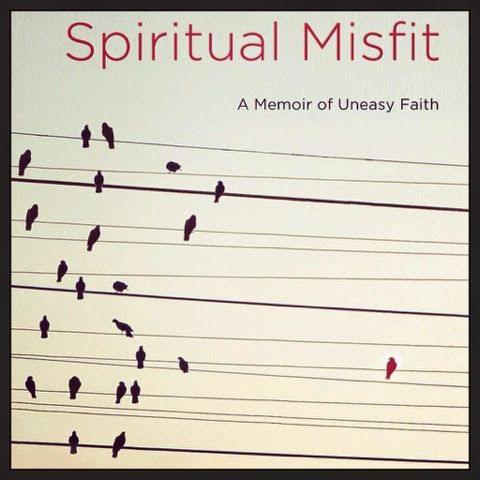 What has your biggest spiritual struggle been? 3. Did you grow up with a clear picture of faith, or was faith something you saw little of?